Of course, I have a point to make- which is that Firefox is much more than a single browser with a single experience. Our commitment to add-ons and personalization is a reflection of our commitment to choice and innovation on the web. We spend an enormous amount of effort on our platform because we believe that great ideas for the web come from everyone, and not just from our core development team. Since we know that there are great ideas out there, we’ll continue to make the most powerful platform for browser customization on the planet. With Jetpack, it will also be the easiest and most fun- because innovation isn’t about struggling to make an idea a reality. I also talked about about our plans to launch an Add-ons Marketplace this year- one that really focuses on building good relationships between developers and their users. We know from our Contributions Pilot that add-on developers are interested in earning money from their add-ons, and we also know that this isn’t an idea that users take offense with. Ultimately, we’d like to create opportunities for our developers to succeed with an add-on marketplace that is built on trustworthy relationships, and DRM will never be a part of that. The best way to fight piracy is with good products for fair prices, and we want to create a Farmer’s Market, not a supermarket, one that is optimized to create opportunities for individual developers to succeed by creating unique experiences that users are willing to pay for. There are few things which are truly free on the internet, and a small financial transaction between a user and a developer is an honest one without any invisible strings. We are also committed to our free ecosystem of add-ons, and we expect that paid add-ons must be able to succeed while also competing with free alternatives. This is what we believe- and we plan to show people that a store for add-ons can be built on the principles of the open web, where good ideas can be supported by the people who enjoy and benefit from them. All in all, the response from the community was fantastic and positive , and plenty of food for my thought as we progress through this year much more quickly than I anticipated. Huge thanks to everyone involved, from William, Julie, and Irina who handled logistics, Justin, Myk, Tristan, and Paul who graciously spent time putting together great talks, and to all the attendees and lightning talk presenters as well. 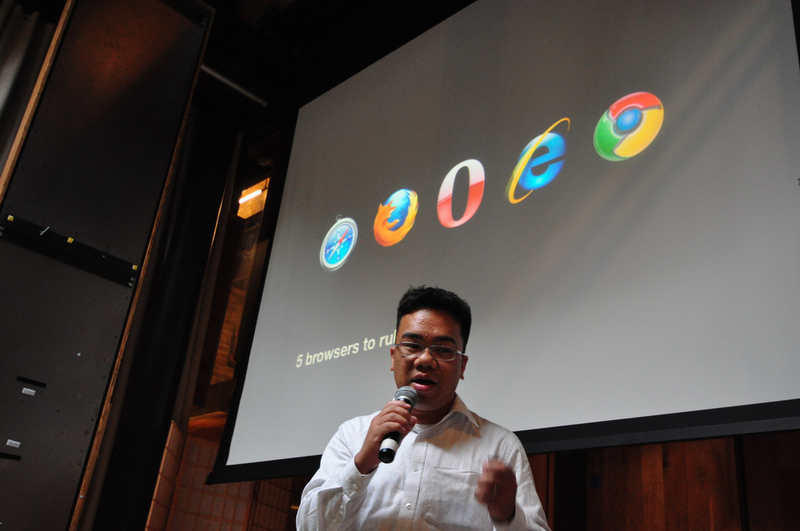 This entry was posted on Friday, July 16th, 2010 at 3:25 pm	and is filed under mozilla, product management. You can follow any comments to this entry through the RSS 2.0 feed. You can leave a comment, or trackback from your own site.